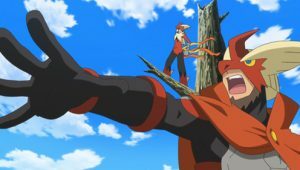 As the Pokémon Summer Camp continues, the narrator restates what happened the day before. 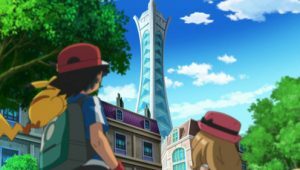 As the day begins, Ash and his friends are all doing a morning jog, and Clemont falls behind substantially. 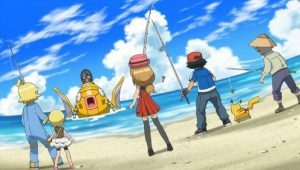 Later, Ash, his friends, Shauna, Tierno, and Trevor all participate in a fishing competition, where they all fish for Water-type Pokémon. 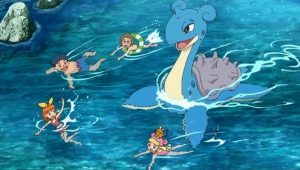 Though they all fish out many Pokémon, Trevor gives Team Squirtle the win by fishing out a Wailord, the largest capture of them all, in stark contrast to the mere Magikarp and Tentacool that Tierno and Shauna reeled out. 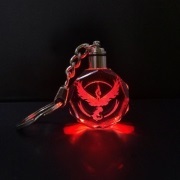 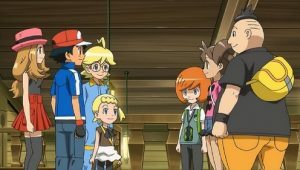 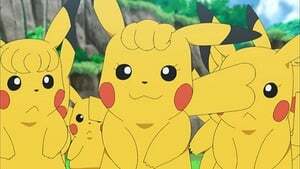 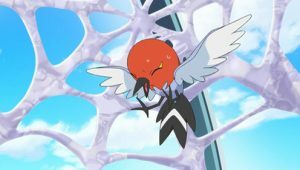 As the fishing competition ends, everyone from the camp gathers around in a room as Professor Sycamore introduces the major activity of the day: a Pokévision showdown. 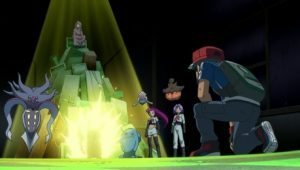 He declares that each team must make a Pokévision video, and that the team with the best Pokévision video wins for the day. 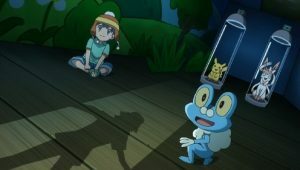 Later on, Team Froakie returns to their cabin. 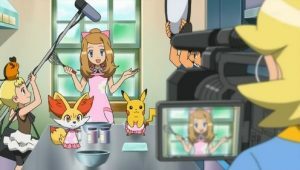 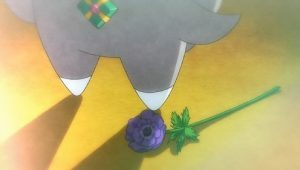 Serena reveals to the group her plans for the Pokévision video, which she maps out through drawings. 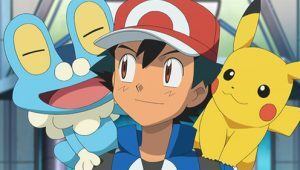 Ash and his friends all agree to the plan. 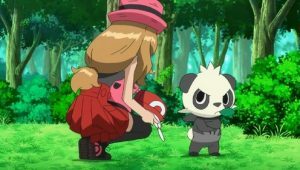 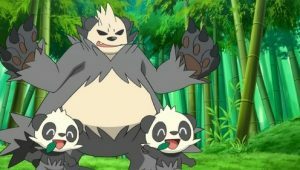 Serena and Bonnie then begin preparing Poké Puffs at the main hall, along with Shauna. 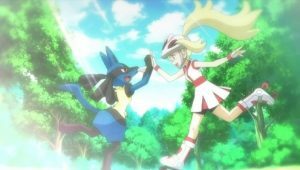 As they do so, however, Shauna then explains to Serena what a Pokémon Performer is. 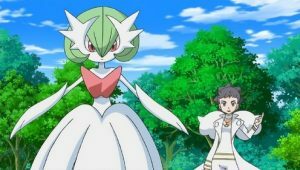 She explains that a Pokémon Performer participates in competitions called Pokémon Showcases. 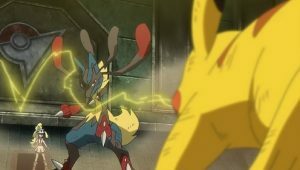 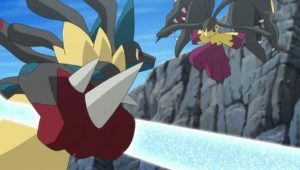 They participate in a first round where they can stylize their Pokémon and then show them off, and then there is a Freestyle Performance where the Performers use their moves in combination. 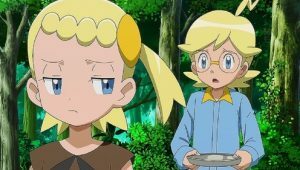 This becomes mildly appealing to Serena and Bonnie as they are intrigued by this kind of idea. 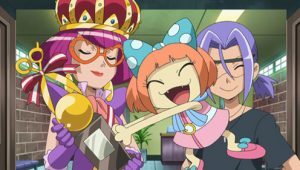 Shauna then goes on to explain that after winning three Showcases, a Performer heads onto the Master Class, and after winning there, they can earn the title of Kalos Queen. 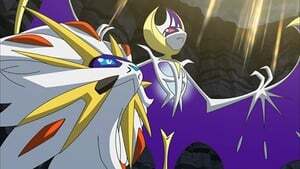 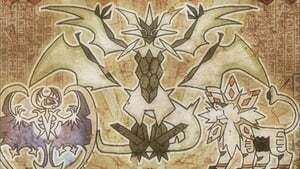 She then states that Aria is currently the Kalos Queen. 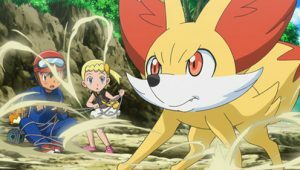 It is also revealed that Aria’s Fennekin is now a Braixen. 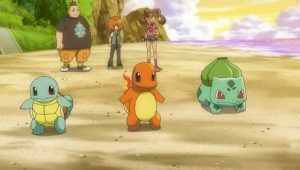 Later on, Ash and his friends begin their Pokévision, and on the beach Team Squirtle begins their own. 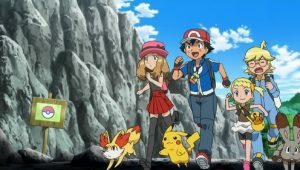 Serena begins running to an intriguing location to start the video, but she falls off the cliff. 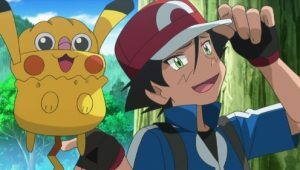 Ash quickly tries to save her, but also ends up falling with her. 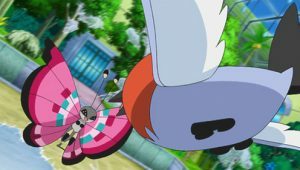 They both fall face down into the base of the cliff, while Clemont and Bonnie go seek help. 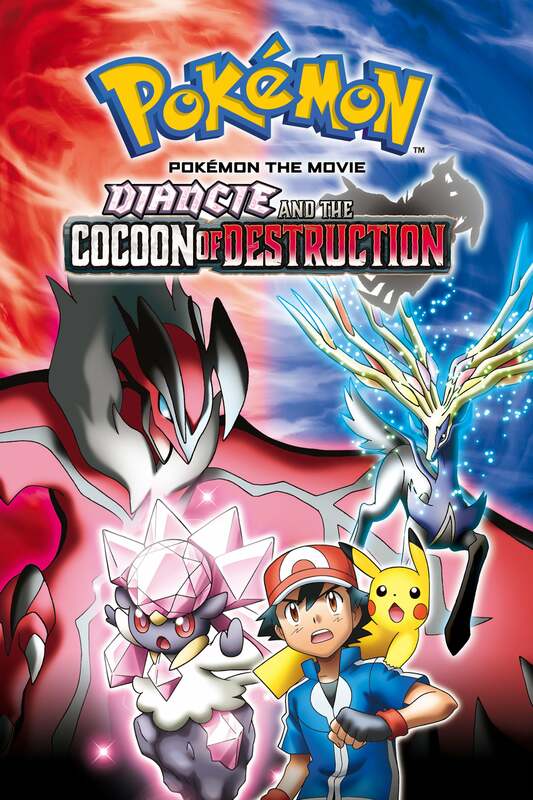 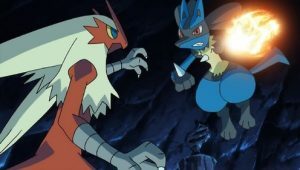 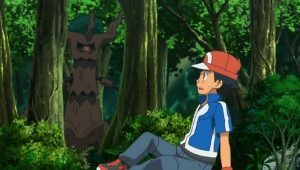 Ash and Serena are then alone down in the cliff. 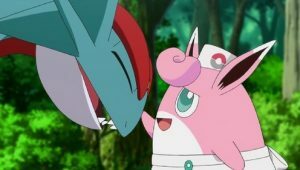 Ash has injured his foot by this time, but Serena helps nurse it with a wet cloth. 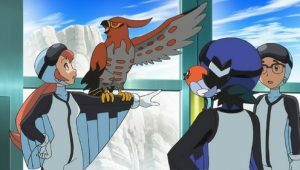 The two then have a personal conversation. 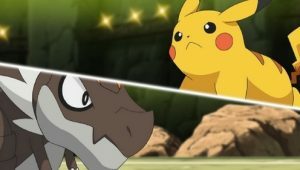 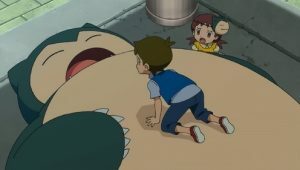 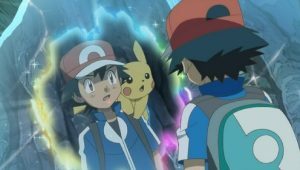 Ash talks about his own dream, which is to become a Pokémon Master, and says that Serena should take her time to find her own goal. 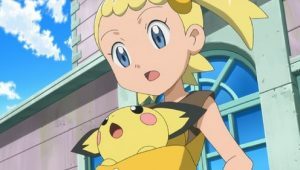 Serena remarks on how amazing Ash is, to his own surprise. 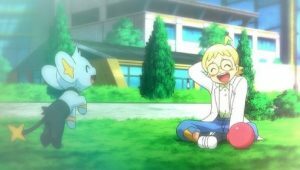 Later, they express their bonds with their respective starter Pokémon. 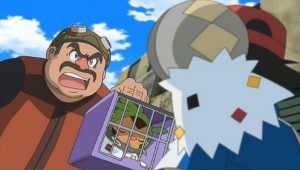 Soon enough, Professor Sycamore arrives with Clemont, Bonnie, and Team Squirtle, along with Team Rocket in disguise, who show up as rescue workers. 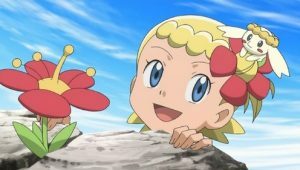 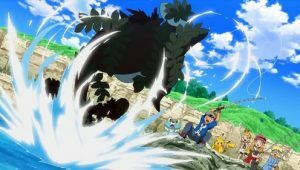 They show up with ropes and help Ash and Serena get up the cliff. 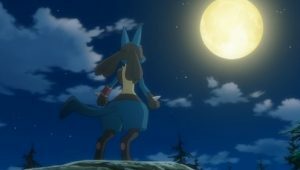 Team Froakie then finds a large plain, ideal for making the Pokévision video. 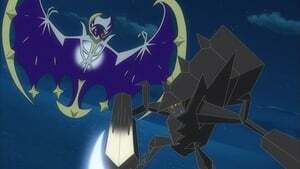 They proceed to record the video there. 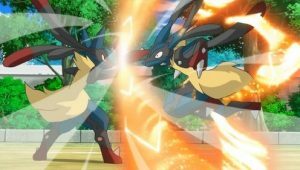 The scene then changes to nighttime. 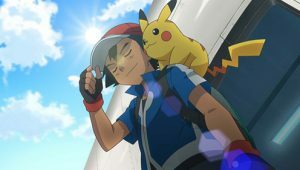 All of the teams have finished recording their videos and are in the main hall to watch all of them. 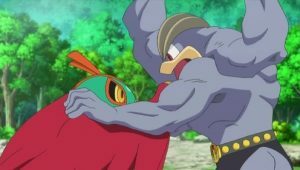 Team Squirtle has a video showing off each of their respective Pokémon. 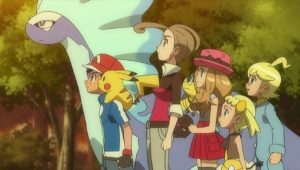 Later, many other Pokévisions are shown and everyone watches. 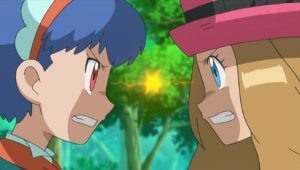 Shauna and Serena then go outside to the docks to have a personal conversation. 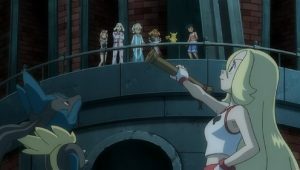 Motivated by the events earlier on in the day, Serena decides that she wants to become a Pokémon Performer. 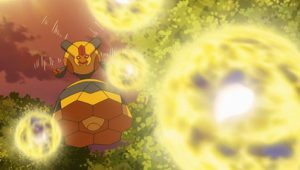 Later, the votes roll in. 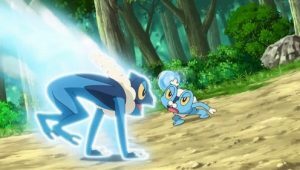 Team Froakie has won the competition in first place, with Team Chikorita and Team Charmander in second and third place, respectively. 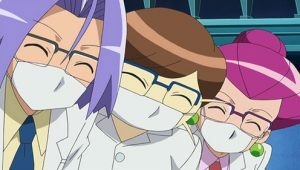 The groups then go on to continue their Summer Camp experience.